It is late in the morning. But the sun seems not to give any heed about the time. It is scorching. Two young men were fixing a movie vending box in front of Kaldi’s Coffee at Bole Medhanealem in side Berhane Adere Mall & Guesthouse, on Cameroon Street. Kirubel Getachew, 34, and three other friends of his are the owners of the movie vending box. They started the business as shareholders. Kirubel and his friends import the machines from China at the cost of 50,000 Br and above, depending on the market conditions. However, they handle the rest of the work by themselves. “Since we have the background knowledge we develop the necessary software and take care of the contents,” says Kirubel. The shareholders officially started their business with a brand name – Swift Media – seven months ago, after they have been developing the required software for a year. Their business is licensed under a movie centre and has sold different machines (for instance, the movie vending boxes) to interested customers. The cost of a single machine is 85,000 Br, and they update the contents every two weeks. It was a response to the lack of movie renting centres they often can observe while they are in need of one for personal consumption, according to Kirubel’s reason why he joined the business. “You cannot see the trailer, details or synopsis of the movie you want to rent at these centres. And these are essential elements to decide whether you would like the film or not,” he said. Swift Media set up its vending boxes in five different locations; on Berhane Adere Mall and Abyssinia Building, Sheger Building, Golagul Tower, and ALL-Mart Supermarket in Gerji area. 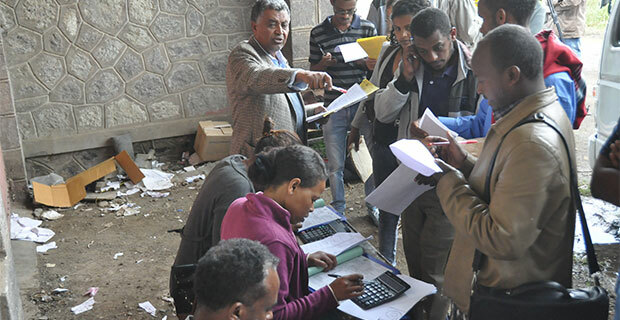 Swift Media set up its vending boxes in five different locations; on Berhane Adere Mall and Abyssinia Building, Sheger Building, Golagul Tower, and ALL-Mart Supermarket in Gerji area. Each centre has two employees. To take movies from Swift Media by flash disks, one has to buy a package deal from the employees operating the boxes. The package deals range from 25 Br to 300 Br. Series movies cost one Birr per an episode and a feature film cost two Br. Mesay Tsegaye, 19, operates the box at Abyssinia building, behind Medhane Alem Cathedral Church on Cameroon Street. He has been working there for three months while studying marketing at Rift Valley College. “Even though I start work at 9:00am in the morning, business starts to hit around noon when people leave their offices to have their lunches,” says Mesay. But Mesay gets replaced by his colleagues at 3:00pm in the afternoon, the time when more customers start to pour in. The business of selling movies boxes is at its peak after 5:00pm as people take them while going home after work, and often time, a single box location gets around 20 customers a day, reveals Mesay. “Fifteen Br is good pocket money,” he told Fortune smiling. As Mesay lives with his parents, he uses the money he earns for some stationery materials and copying handouts to help with his evening classes. Swift Media manages its customers through a Viber group, a calling and texting application for both Android and iPhone Operating Systems (IOS). Employees operating the boxes at Swift Media have an address book in which they write the phone number of their clients and update them about new arrivals on the social network group. 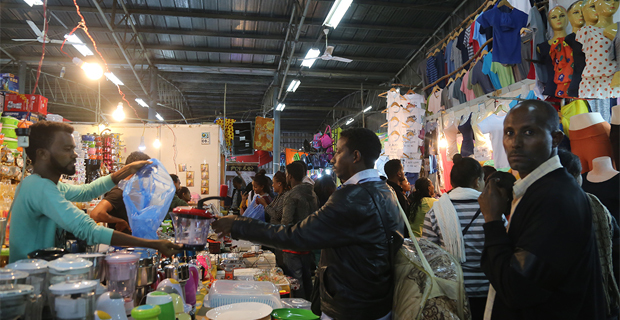 Trios Movie Centre is one of the well-known movie centres in Addis Abeba that does not serve with vending boxes. It started its business three years ago and has two branches. Biniyam Mikru, 30, who is a sales person, explains why he frequents to the vending box located on Berhane Adere Mall. He has been a customer of this particular vending box for five months. Biniyam prefers the vending box to the usual movie renting centres because there are fewer crowds at the vending boxes and also the operators call him when they have a new arrival. “I frequently take series and new feature films on the Box Office Chart,” says Biniyam. Mesay also agrees with Biniyam that he loves those features on the Box Office Chart. He also observed that they are highly demanded by many customers. Another location with a movie vending box owned by Selam Dimitu is the K Kare Building around Mexico area, on Mozambique Street. Selam bought the machine from his friend who has developed the software, has got a patent for it under eZ Media, and started operations nine months ago. To take a movie from eZ media with a flash disk one needs to buy a package deal, similar to that of Swift Media at the same price. “The first time I saw eZ media was when I came to get my computer fixed at Abyssinia Computers. 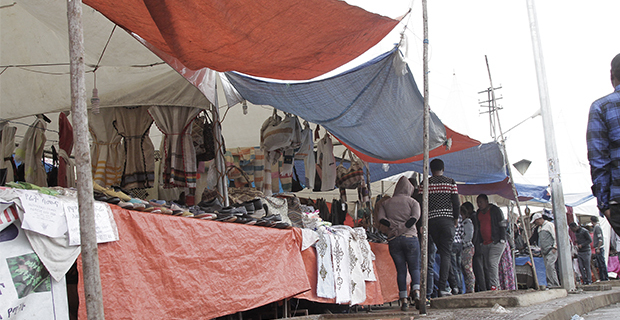 The contents were in Amharic, I found that exciting and I became a customer after that,” says Yohanne Aregaw, a 34-year-old businessman and customer of a movie vendor at K Kare. Selam agrees that the fact that his vending box is inside the business centre, it is more visible and attracts customers. However, he complains that the business is seasonal and people were eager to use it in the beginning but now no less than ten people on average visit his box every day. Nahom Tamrat, the owner of Amest Santim General Business started developing the idea of eZ media three years ago. “When we first developed and designed the box, we used wood,” says Nahom. The vending boxes are assembled here in Ethiopia at any shop that does metal work. The only material that is imported is the screen to be used on the computers. They are up for sale for 30,000 Br including maintenance service and content updates every 15 days. Before these vending boxes sprouted in Addis, the conventional way of getting movies one wanted on flash disks was going to movie centres that give an almost similar type of service as the vending boxes. Trios Movie Centre is one of the well-known movie centres in Addis Abeba that does not serve with vending boxes. It started its business three years ago and has two branches: one at Friendship Mall on Africa Avenue/Bole Road and Agona Serawit Cinema along Beyene Aba Sebsib Avenue. Yonnas Habtamu, the owner of Trios Movie Centre, complains of lower customer turnout these days. He sees the high competition from other movie centres in the same compound and unreasonable tax impositions as among the visible reasons for decline of profit. “I have heard about these movie vending boxes around the city, I am considering the costs and hope to be an owner of one soon,” says Yonnas who is not satisfied with his current business turn out. Smart Mobile Accessories is another company engaged in selling movies on flash disks. It is licensed under the mobile accessory business, but it also downloads and sells movies. Smart Accessories is a family business, they have heard about the movie vending boxes but are sceptical about the willingness of the community to use such technology. It is to be recalled that digital piracy is dealt under World Intellectual Property Organization (WIPO) Internet Treaties, which is made up of the WIPO Copyright Treaty and the WIPO Performances and Phantogram Treaty. 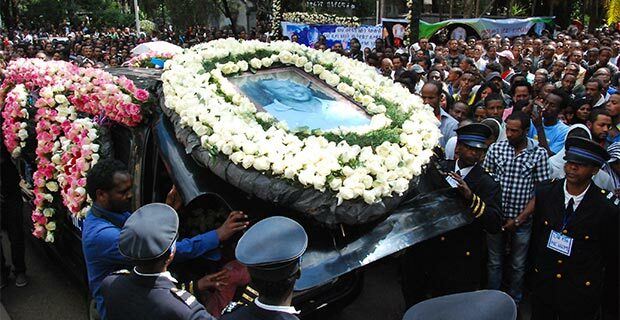 Ethiopia neither ratified nor signed the treaties.